When Autumn Collins finds herself accidentally locked in the library for an entire weekend, she doesn't think things could get any worse. But that's before she realizes that Dax Miller is locked in with her. Autumn doesn't know much about Dax except that he's trouble. Between the rumors about the fight he was in (and that brief stint in juvie that followed it) and his reputation as a loner, he's not exactly the ideal person to be stuck with. Still, she just keeps reminding herself that it is only a matter of time before Jeff, her almost-boyfriend, realizes he left her in the library and comes to rescue her. As he and Autumn at first grudgingly, and then not so grudgingly, open up to each other, Autumn is struck by their surprising connection. 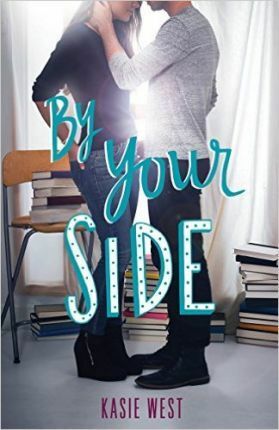 But can their feelings for each other survive once the weekend is over and Autumn's old life, and old love interest, threaten to pull her from Dax's side?